Shine red, blue and green lights on a white wall. 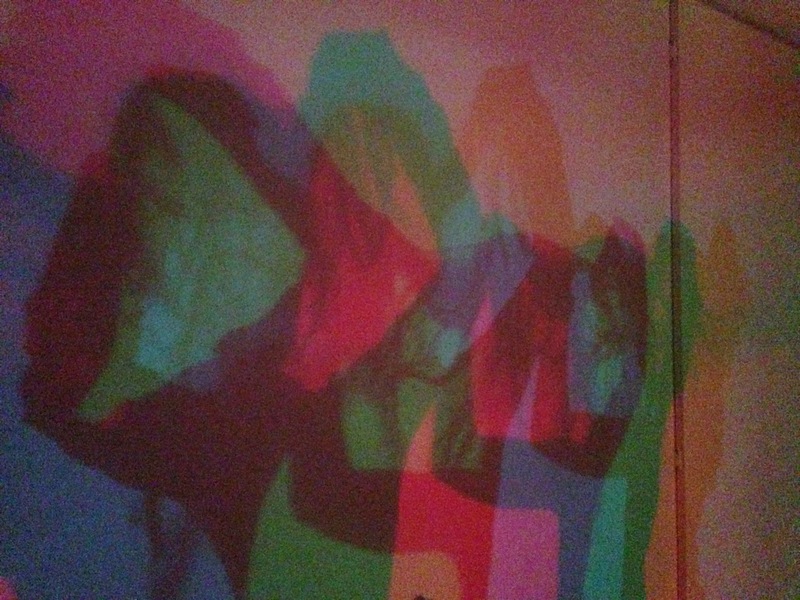 Turn the lights on and off in different combinations to create different coloured shadows and overlapping shapes. 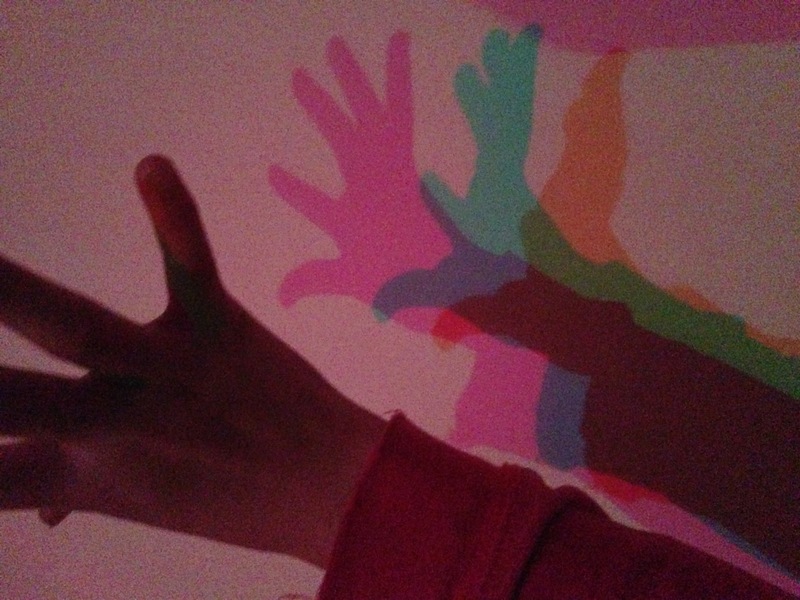 Turn the lights on and of in different combinations while holding a hand up to create shadows. Experiment to find out what is going on. With one bulb we get the light coming from it showing on the white wall. If our hand is in the way, we block the light and there is a dark shadow. 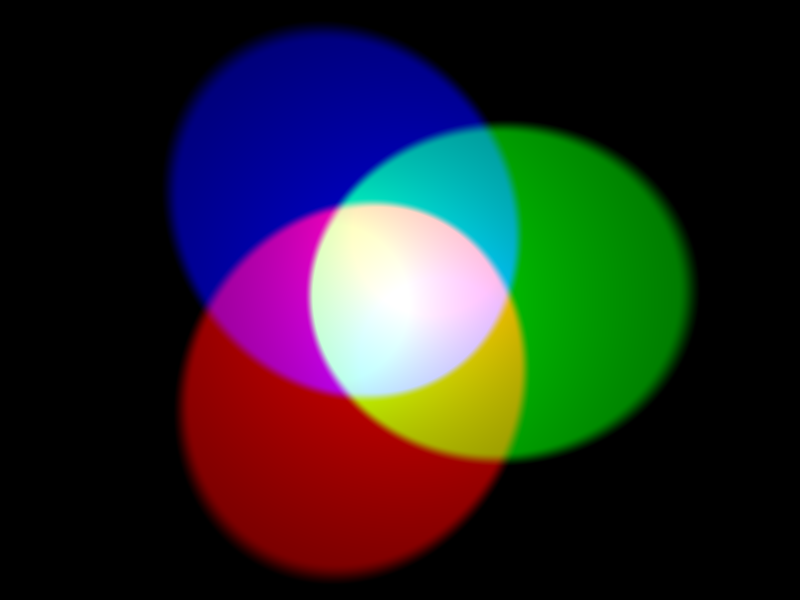 With two colours we make a new colour (additive colours of light). Our hand blocks one, leaving the other colour showing in its shadow. With three colours, we make almost white. Our hand blocks one, leaving the mixture of the other two colours in its shadow. We get dark where all three shadows overlap.